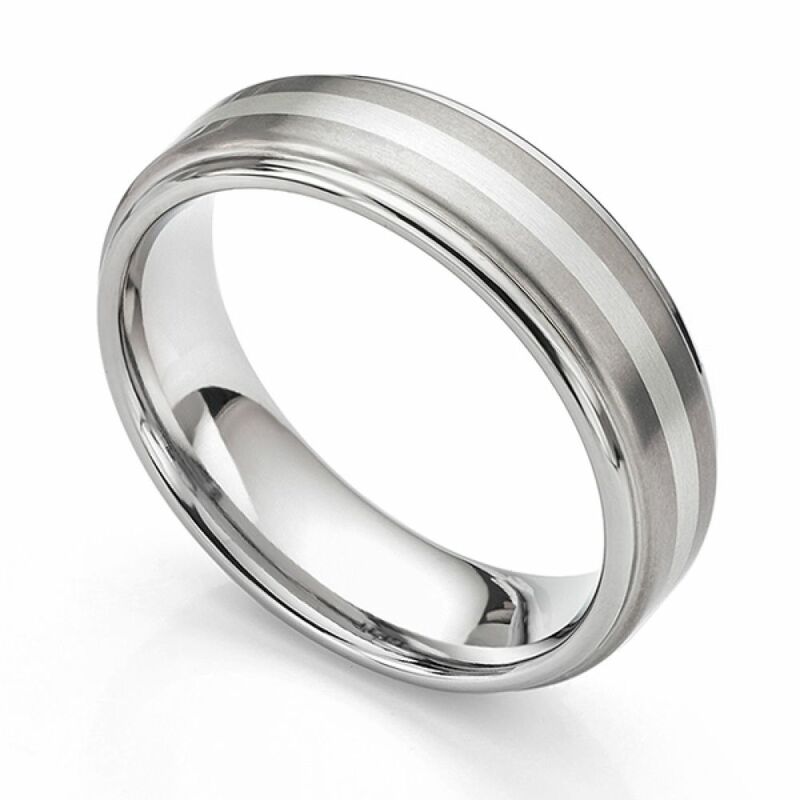 Inlaid with white gold, this Titanium wedding band edges the central satin finished section with smooth rounded mirror polished edges in a truly individual wedding band design. This unusual men's Wedding Ring offers the wearer an individual Wedding Ring design. Styled from industrial grade Titanium, this design feels soft to the touch, beautifully rounded—benefitting from a medium weight court shaped comfort fit. Mirror polished round edges rise towards a central section, satin finished with a brushed effect. Within this middle section of the ring, an inlaid strip of 9ct White Gold provides a subtle contrast to the Titanium. The ring design is made in a 7mm ring width and is available in a wide range of finger sizes. Please allow approximately 3 weeks for this design to be made. Each Wedding Ring arrives beautifully boxed and presented in Serendipity packaging in time for the big day.